With summer in full swing you and your family might be out enjoying a day at the pool or planning a trip before the new school year starts but your plans should also include checking the heat index. Long hot summer days often bring sweltering temperatures which can have dangerous effects. When temperatures soar, it’s important to take precautions to prevent heat exhaustion and heat stroke. Also, be sure to check on pets, children and neighbors who do not have air conditioning. Under no circumstances should you ever leave a pet or child unattended in a hot car. The best advice for protecting yourself from the summer sun and heat would be to stay indoors or avoid being outside in the middle of the day. Work to complete tasks in the morning or evenings. If you work outside or must absolutely be outdoors when a heat advisory is in place try taking breaks whenever possible and have someone with you to look out for signs of heat stroke. Be sure to stay hydrated and wear loose fitting, light weight, light colored clothing. If you start to feel ill, take a break and evaluate your symptoms. Signs of heat exhaustion include cool, moist, pale or flushed skin, heavy sweating, headache, nausea, dizziness, weakness exhaustion. If you or someone you are with begin to exhibit these symptoms move them to a cooler place and apply cool, wet cloths or towels to the skin and water. Heat stroke is similar to heat exhaustion but it can be life threatening. Signs include hot, red skin which may be dry or moist; changes in consciousness; vomiting and high body temperature. Call 9-1-1 immediately if someone shows signs of heat stroke. Move the person to a cooler place and try covering the person with cold, wet towels or bags of ice. Even when the temperature is less severe, spending time in the sun still requires precautions. Sunburns and excessive time in the sun can cause extensive damage to your skin cells and even cause cancer. When you and your family are planning to spend time outside use sunscreen and check the labels - make sure your sunscreen has broad spectrum protection. This means you will be protected from both UVA and UVB rays. Also look for coverage that is water resistant. Wear a hat with a brim of at least 2 to 3 inches can protect your ears, eyes, forehead, nose and scalp and finally wear sunglasses that block UV rays. Research has shown that long hours in the sun without protecting your eyes increase your chances of developing certain eye diseases. 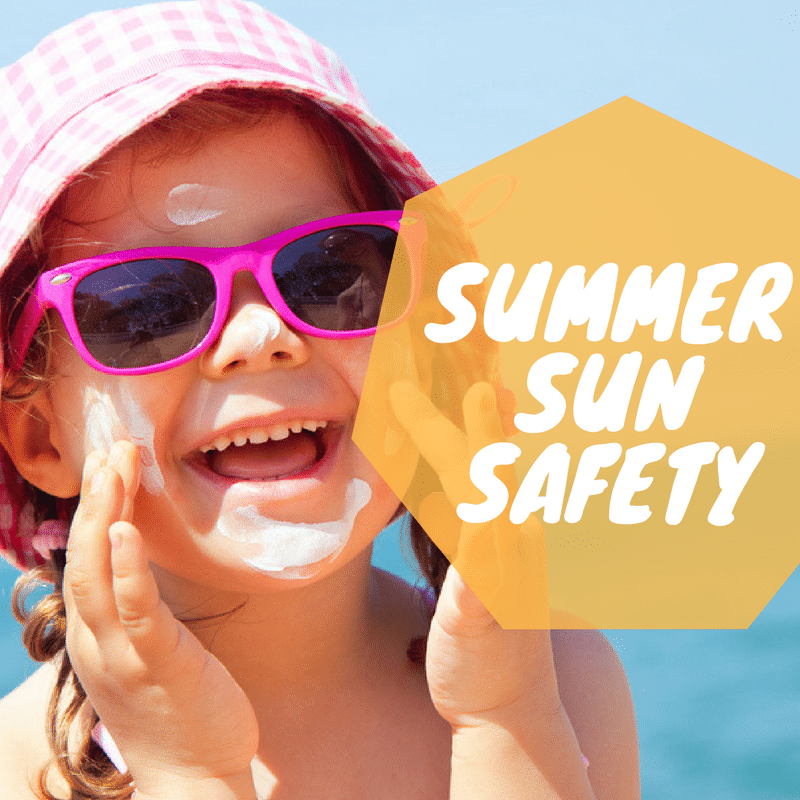 To learn more about summer safety make an appointment at Rodgers Health by calling 816-307-0152 or request an appointment online!